Starbucks breathes life into the “Secret Menu” by promoting it. 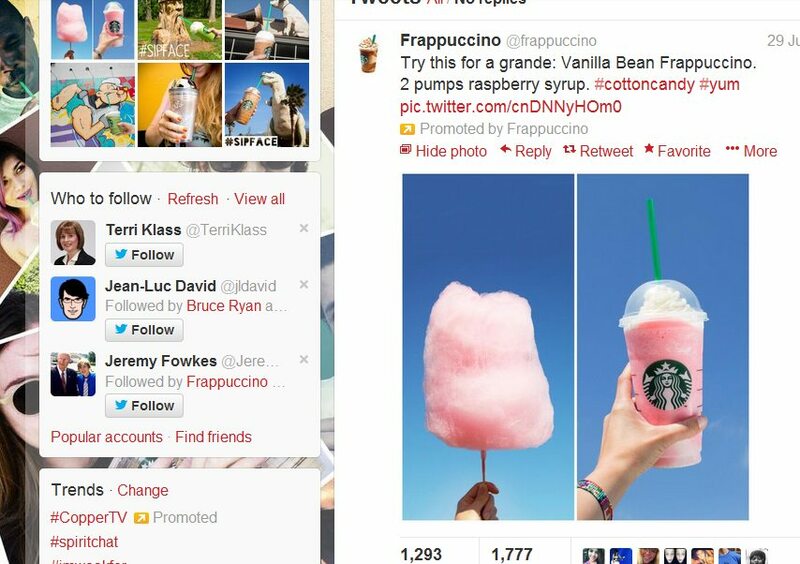 I just now sat down at my computer this Sunday morning and saw a “promoted post” for a Starbucks #CottonCandy Frappuccino! Starbucks has essentially brought to life the “Secret Menu.” The “Cotton Candy” Frappuccino is now a Vanilla Bean Frappuccino with raspberry syrup. 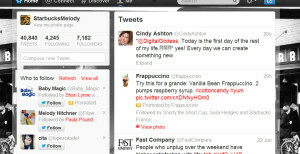 The promoted post means that Starbucks is paying to advertise it as such! Disney Force Friday: Frappuccinos Inspired By Star Wars. As a barista, I hate that Starbucks is promoting this. I’ll just leave it at that. My favorite drink ever asked for was a “Willie Nelson”. A white chocolate mocha frappuccino with vanilla bean powder……seriously? My only word of warning. PLEASE be kind to your barista and know what is in your “secret menu” drink! These are not Starbucks standard recipes, and we cannot keep up with them all! We will gladly make them for you if we know the recipe, but please do not get mad if we don’t! Personally, I embrace the secret menu…If it makes it fun for you as the customer…That’s what its all about. If ordering your drink by some crazy name is fun…that’s totally fine by me (after all, we already have the dirty chai and the black eye and red eye that are commonly accepted by almost all baristas). When the pinterest version of the secret menu became really popular during the first part of summer, we went online…researched every secret menu we could find and put together a 2 page (with very small type) secret menu decoder for baristas so that we would know what the drink ingredients truly were. We keep this behind the counter so that when you want your “snickers” frappuccino and have no idea what is in it…we can look it up for you. At the end of the day from a partner perspective, not knowing what’s in it is the only thing preventing me from making it. (ps: partners PLEASE still use the correct cup markings when decoding the order and we mark a drink post it with the recipe so the customer knows what they want next time, in case they go to a store where you don’t have a printed secret menu) From a customer’s standpoint…Some of these drinks are fairly pricey…its not uncommon to have a $7 grande sized frappuccino when you correctly ring up a secret menu drink…but hey…if that’s what you want, I’m all for it. I’m really excited that customers are getting excited about customizing their frappuccinos and swapping ideas on social media. I’m also excited that Starbucks has responded positively. I think the key thing to remember is that these recipes aren’t coming from Starbucks… Their coming from customers. I’m glad to hear that others are positive about helping customers find their favorite personalized drink. Even if its a frappuccino with a crazy name. I manage a store in Atlanta and my partners love making up their own drinks and love it even more when customers order them. Try a Valencia Orange Refresher Frappuccio . Since we are a test store for “Sparkling” beverages one partner also created a Rootbeer Float Frappuccio which customers are ordering more frequently than the Spiced Goldberg beverage. Kathleen – I am green with jealousy! You’re lucky to have the sparkling drinks! I love the Starbucks Root Beer (I have other articles on it here on this site). Never thought of essentially a root beer float – wow. That would be cool. Thank you for commenting. These are great ways for customers to get involved in the process of customizing and trying new things, which we were always comfortable with for espresso drinks. I try to remember some of them, but there is an issue with consistent expectations of recipe (I’ve heard Cotton Candy with 1p Raspberry, sometimes with 2 and for the same size both times). I hope we get official cards or an official recipe so that these customers can have a consistent expectation across stores and across baristas. Im with KDH on this. What a disservice to customers – they don’t know whats in it, we don’t know how to make it and it costs $4+. I think they are promoting the cotton candy version since there are no trademark / ip issues involved. I would be very surprised to see them touting the snickers frappuccino that Tiffany mentioned. Also black eye and red eye have regional variations but my favorite is the 4 shot – Jedi (let the fours be with you)! I’d like them to promote the Capt’n Crunch/Berries Frappuccino from the Secret Menu. Ever since they took away the Valencia Syrup years ago & prevented me from ever ordering my Creamsicle Frap. (Vanilla Bean/Creme Frap. w/ heavy whipping cream + Valencia Syrup, double blended) again, I’ve kinda stayed away from the frozen concoctions (esp. stayed away when they were using the cochineal/bug extract to dye their pink/red items-btw, what were they thinking?!) . I have to admit, when I do get the rare craving for a Frappuccino these days, I go for the Capt’n Crunch Frap. (basically a Strawberries & Creme Frap. + Toffee Nut Syrup) is great, though. It really does taste like the cereal! They do need to make these Secret Menu recipes standard though, because at the same store, I’ve had 3 different (yet awesome) Baristas tell me they know how to make it, yet it was made different each time (either adding/subtracting/mixing: Toffee Nut Syrup, Hazelnut Syrup, Java Chips-which I don’t think should be there). A little tip to make Frappuccinos better; always order it to be made with Heavy (whipping) cream & double blended- that way, it’ll taste more like a real milkshake. Please excuse the typo/grammar mistakes in my previous comment. I totally welcome this. When customers walk into a Starbucks store all excited to try a new Frappuccino and are told that we don’t know how to make their drink it damages the Starbucks Experience. Every time Starbucks promotes one of these beverages instructions on how to order it will be included. This will create consistency and we will learn the beverages. As one of the comments above pointed out, we all know what a dirty chai is. 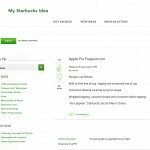 Starbucks wants to be THE leading brand in the social media space and this is a great platform for Starbucks to engage customers via social media. In all honesty, what’s the downside of this? @Melody – I think the scenario you described is one of the reasons why Starbucks is doing this. When Starbucks promotes the Cinnamon Roll Frappuccino or the Key Lime Pie Frappuccino, for example, a recipe/ordering protocol will always be included so customers can order by ingredients rather than by obscure names. Granted, there might be some pain associated with getting this off the ground but the short-term pain should lead to long-term gain. As long as we, partners, are focused on making it work and open to learning then it will all out work. So many of my partners were instantly negative when the action item posted and said it wouldn’t work. My reply to them was, “What if it does work?” I really believe this will lead to standardization and consistency. The one potential downside is that not all partners have social media. 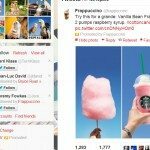 If you look at that tweet, Starbucks does not officially refer to it as a “Cotton Candy Frappuccino.” They refer to it in Starbucks recipe, and then use the hashtag… #cottoncandy. 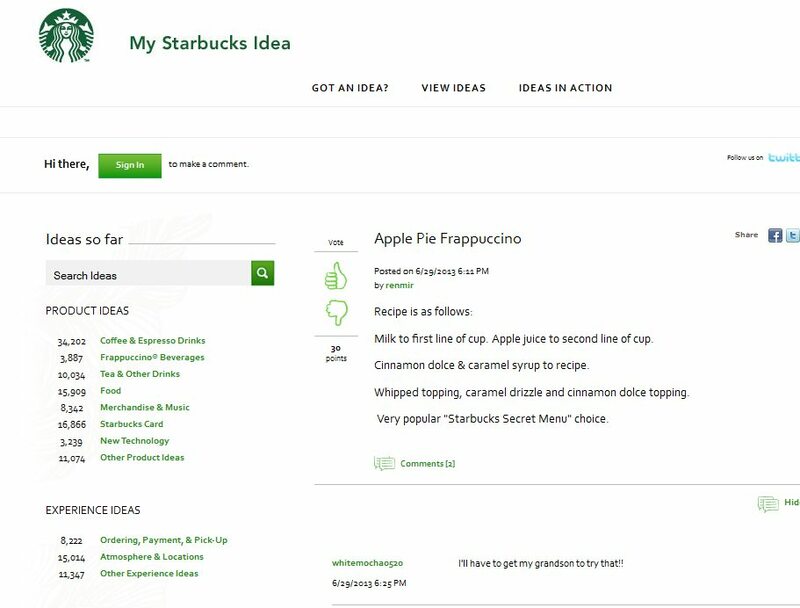 I love that we are embracing our customers’ creativity but we still need to remember that it is customer recipes and not Starbucks standards. I really would like it a heck of a lot better if we would get a notice in the portal telling us which specific ones were being promoted, and how exactly to make them, because… people still order Cotton Candy Frappuccinos, and expect us to know how to do it, especially now that there are pretty and adorable pictures on their facebook and twitter feeds basically telling them that we *should* know what they are and how to make them. I can just see the back up in the line when a few friends come in and each orders some special frapp that isn’t on any menu or recipe card. Or even if the barista has a recipe someone’s going to want to change it somehow. It wouldn’t be so much of a problem at my local store except on Saturday mornings when there’s always a long line. But some stores in bigger cities would have longer lines than ever. There are so many great comments that show how this could lead to disaster. I think the Secret Menu should stay a secret IMHO! i would love to make all these drinks and have a secret menu if starbucks would train us or send us the recipes. it might be impossible to keep up with all of the ideas though. Fantastic example – today we had at least four people just order “Cotton Candy Frappuccino.” I was able to politely explain that even though Starbucks is posting about it, it’s not an official recipe and recommended that they also know what goes in it and order it that way instead. They were all pretty cool about it. BUT. We had someone order a “Captain Crunch.” (Didn’t even bother to mention that it was a Frappuccino…) When I went through the same thing and told her that I don’t even know how to make that one at all, she looked it up on her phone and ordered what sounded more like what the Secret Menu refers to as a “Twix.” So again I had to explain that Starbucks is taking notice of the creative fan recipes by calling them out on social media, but they are not official Starbucks recipes that can be ordered by that name. I strongly suspect that we are going to be going through this a lot more frequently now, and I’ve had a look at that Secret Menu website and app… it’s a lot bigger now and impossible to just print out. @Kitenarie – Are you referring to this website? That’s quite the enormous website. Drink customization galore. I have the Alexa Rank toolbar on my computer, and I look at PR now and then (bloggers love Alexa Rank and Google Page Rank ;-)) and what I’m trying to say is that I suspect that is quite the busy website with what I suspect is A LOT of traffic. In other words, I can imagine people trying to order off of it all the time! At least it gives recipes. Yup Melody, that’s the one! The problem is that it still doesn’t make it clear enough that it is not affiliated with Starbucks and that partners will not just *know* what a Captain Crunch Frappuccino is, or what a “Toasted Marshmallow” is… etc. I actually went to it the other day thinking, hey I’ll print them out for us and then our lives will be easier but… it’s too massive. @Kitenarie – I totally see what you’re saying – you are right, the site doesn’t clearly (or obviously) state that it is not operated by Starbucks. I totally get you – before I changed the upper right rail of my blog to make it a little more clear that I am not Starbucks, I got random Customer Service type email now and then. That’s been cut down now, thankfully. I have no doubt you are right – people see that website and think that baristas will know the recipes! So yesterday I had two teens on Pinterest standing at my till looking at their phones trying to figure out which one looked better. Thankfully their dad, one of my favorite regulars, took them to the back of the line to decide. They ended up with some kind of candy creations that cost over $6. Therefore I have decided my only problem with these drinks is the sugar content. And still just a little bit that I have no idea what goes in a Twix or that I may have to say no to an excited customer. These drinks are creating buzz and bringing people to the stores to customize and try expensive creations. I think it’s great (but I want recipe cards). @Rebecca – I hadn’t really thought of the cutesy names like that before, but that makes a lot of sense. I mean, a “Cinnamon Roll” Frappuccino evokes Sunday mornings at home, and the smell of something good in the oven, and a “Vanilla Bean Frappuccino with Cinnamon Dulce syrup” really doesn’t have any of the same evocative power. Really excellent point Rebecca. I think if Starbucks is going to go so far as promoting these custom Frappuccinos on Twitter or Facebook and actually post something on the portal for the promotion, they ought to go as far as posting on the portal *exactly* what recipe they sent out to the customers via social media. No one wins when they do confusing things like this, not the customers and not the partners. @Jen – I love that attitude! It’s funny – I think it is possible that once in a while partners get a little stubborn – like their jurisdiction is the register and that’s where they have some power – with 12,000 stores in the US, and lots of different partners, that might happen once in a blue moon, but overwhelmingly, I’ve seen partners try to work with customers to figure out what it is they want. I love your positive outlook Jen! Melody, I’m finally getting email updates of your new posts. I didn’t do anything different, it just started after months of only getting comment updates. @snowwhite – starbucks must be listening, because on the portal yesterday.. recipes for the cotton candy, turtle, snickerdoodle and banana flambe frappuccinos! 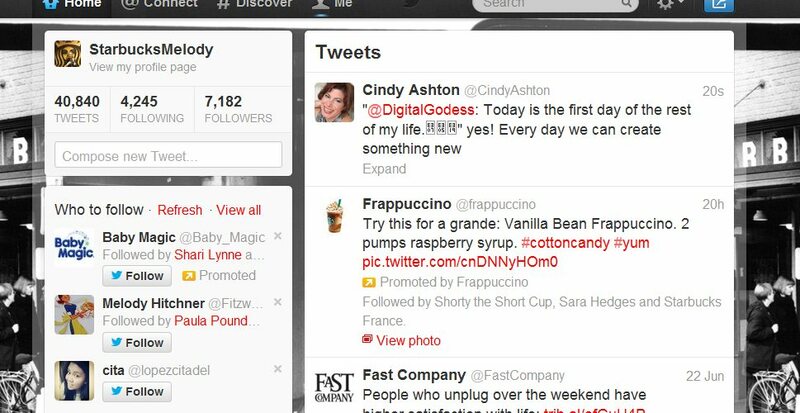 @SnowWhite – That Snickerdoodle Frappuccino sounds delish! Now I want to try that. Thanks for the linK! @snowwhite On my phone, pardon typos. I wanted to try the “Snickerdoodle” Frappuccino. No barista in my neighborhood store had any idea what I was talking about. I pulled up your image. Thank you!! I ordered the “Thin Mint” frapp from the secret menu website yesterday and the very nice barista knew how to make it but said that is should have peppermint syrup in it and it is not listed on the website with it. After talking with her we decided to try it without and while it was okay I agreed with her it would have made it better. Another barista at another Starbucks said he has heard of it also made with the peppermint syrup. I would suggest when ordering telling the barista the name of the original frapp, the “nickname” and the ingrediants. I have been trying them all and most of the Starbucks around me in the Rockford IL area know these recipes but maybe by different names and they are all willing to make it how we want it if we tell them what goes in it. I just wrote out by hand(a pain, I know) the ones I have wanted to try. It has been fun because them the barista’s make suggestions and tell me about some of thei own creations. Makes Starbucks that much more fun to go to! As a 6 year partner, I’m perpetually annoyed by customers coming up to the counter and asking for items off the secret menu and then getting super annoyed when I have absolutely no clue what the drink is or how to make it. I’ve had four friends ask me within the last week about the Harry Potter Butterbeer frappuccino. While this DOES sound intriguing, one of my friends didn’t believe me when I explained that there is no secret menu and said, “You’re just told to say that, didn’t you see the blog on the Chipotle secret menu? ?” I directed her to both your blog and the actual Starbucks secret menu website which says “Created for Starbucks fans by Starbucks fans,” has no Starbucks logo with a TM on it, and has a disclaimer on the bottom. I think she still didn’t believe me! !